Recently, I wrote an article in the Assyrian language entitled, The Assyrian Homeland Before World War I and published it in the Journal of Assyrian Academic Studies. A number of friends and associates who do not read Assyrian asked me to translate it into English. During this period, I discovered a number of new sources and decided to expand the contents and add a brief historical review of the Assyrians. I firmly believe that knowing a bit of the Assyrian history will enhance the Assyrian reader's appreciation of their homeland just before World War I. A number of maps showing these villages have also been added. The Assyrian version has been updated to be compatible with the English version. Since this material is too long to be published in a journal, I decided to combine the two versions into this booklet which I hope will be of interest and value to the readers and future researchers on this topic. The rational for adding "Before World War I" to the title of this booklet is to signify the permanent loss of the Assyrian Homeland. 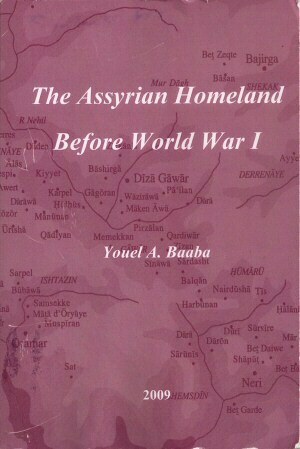 World War I, or more specifically July 18, 1918, represents a very significant date in the modern history of Assyrians. By that date, the Turks accomplished a complete ethnic cleansing of the Hakkari and Urmia regions. Not a single soul remained in Hakkari and none have been allowed to return to it. What is even worse than the massacres is the formal change of the names of all Assyrian villages and towns. The Turks were not satisfied with the physical elimination of the Assyrians; now they have eradicated any reference to the fact that they actually lived there. Turkey until today has refused to acknowledge the genocide perpetrated against Assyrians, Armenians and Greeks.